The Bahamas maintains a positive relationship with the United States of America with a substantial amount of its imports originating from the United States. 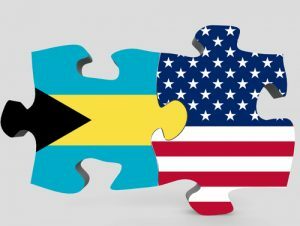 With its close proximity to the United States,The Bahamas continues to actively participate in the CARICOM-United States Trade and Investment Council (TIC) meetings which are geared towards the promotion of positive trade relations between CARICOM countries and the United States of America. In October 2014, the Ministry of Financial Services served as host of the Sixth CARICOM-United States Trade and Investment Council (TIC) Meeting.